Let's Do It for ME! : LDIFME Diamond Jubilee at 60k! LDIFME Diamond Jubilee at 60k! Congratulations to all involved on reaching the 60th £1,000 towards our inital target of £100k! There is much to celebrate as you are all making a real difference to the lives of tens of thousands of people of all ages in UK and millions worldwide by helping to build a future for collaborative biomedical research aimed at finding reliable biomarkers for early diagnosis and effective treatment of myalgic encephalomyelitis as rapidly as possible and without further ado. "Let's do it for ME! is a patient-driven campaign to raise awareness and vital funds for a centre of excellence for translational biomedical ME research, clinical assessment, diagnosis and treatment for patients, and training and information for healthcare staff based at the University of East Anglia in the UK and aiming to work collaboratively with international biomedical researchers." "The Let's Do It For ME campaign is a positive and proactive campaign. The aim is to raise funds for biomedical research but everyone's input is welcomed - be it just ideas or moral support for other people's fundraising. 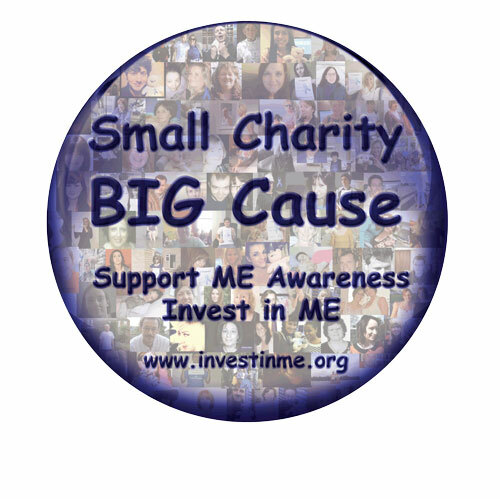 Whilst raising funds for biomedical research the campaign is also raising much needed awareness and allowing correct information about ME to be disseminated." "In a short article such as this we cannot mention everyone who has taken part, or contributed with money or ideas. 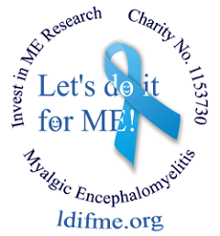 But the campaign has been effective and re-energised research, making the go-ahead for the IiME proposal nearer to reality. Rather than waiting for others to do things – a strategy which has not fared well over a generation – the people involved in the efforts to make the IiME proposal a reality are taking it on themselves to make a difference." Hard copies of the Journal are also available from Invest in ME - email info@investinme.org or visit www.investinme.org for other contact details and the full set of conference DVDs are also now available. Many thanks to all those LDFIME supporters who kindly submitted photos for the image used and congratulations and many thanks to all who have joined in with the spirit of this campaign so far!